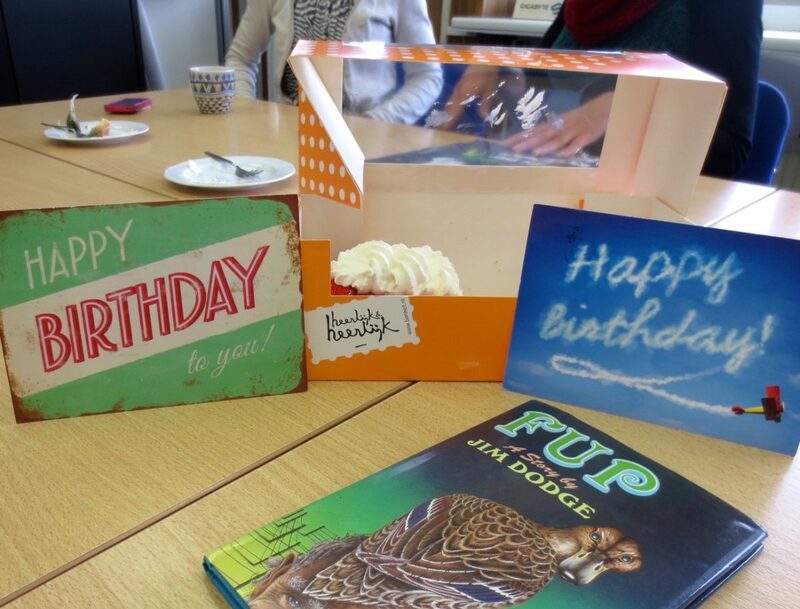 Word of the Day: VERJAARDAG, birthday – Welcome to the Direct Dutch institute, The Hague. It’s my VERJAARDAG (birthday) today. Thanks everybody who commemorated me today on Facebook and LinkedIn and wished me ‘gefeliciteerd’ (best wishes), ‘proficiat’ (congratulations), ‘van harte’ (cordially), because I managed to survive another year. VERJAARDAG, I’ve said it in earlier words of the day, is a sad, sad word, isn’t it? Take a close look at the meaning of the Dutch word. Of course you recognize ‘dag’ (day) and you also recognize ‘jaar’ (year). So the VERJAARDAG is a day in which another year is over. Let this fact sink in for a moment and think again: a VERJAARDAG is the day that another year is over. Another year in your life. Another year closer to death. Another year removed from the day of your birth. Where does the word VERJAARDAG come from? Is it from German? Nein, for ‘Geburtstag’ means ‘birthday’. Is it from a Scandinavian language? No, for Sigurd wishes me: ‘tillykke med dagen’ (Danish/Norwegian) and ‘grattis med dagen’ (Swedish). The dictionary explains that it means ‘good wishes for the day’. So is VERJAARDAG a translation from French or Latin? VERJAARDAG echoes the French word ‘anniversaire’ which was Anglified to ‘anniversary’ somewhere in the late Middle Ages. What does ‘anniversaire’ mean? The OED tells us that it stems from Latin ‘anniversārius’ which means ‘returning yearly’ (annus->year + versus+arius-> turning). So ‘anniversary’ implies that the day returns each year. By the day the day of one’s birth must be meant. So ‘anniversary’ is literally the yearly returning birthday. Isn’t ‘Birthday’ a much more joyful word than VERJAARDAG? Birth, ‘geboorte’ what joy! The beginning of new life deserves a celebration. Birth is a celebration of life, whereas VERJAARDAG reminds me that I am closer to death than to the beginning of life. To some this must sound as a joyful occasion. To the Irish writer Samuel Beckett, however, whose texts can be seen as one long lament for ever having been born. One of his last plays ‘A Piece of Monologue’ starts with the ominous words: ‘Birth was the death of him’ (Geboorte werd hem zijn dood). VERJAARDAG is related to the verb VERJAREN which has two meanings. Its first meaning is ‘to become out-of-date’, or ‘to lapse’. Example: ‘de misdaad is verjaard’ (the crime is precluded by the lapse of time). And the other one is ‘to celebrate one’s birthday’ (jarig zijn). Example: ‘Maxima verjaart vandaag’ (it’s Maxima’s birthday today). Closely connected to VERJAARDAG is the adjective JARIG. If it’s your birthday, then you are JARIG. The English do not have an adjective like the Dutch do. A ‘birthday boy’ is a ‘jarige Job’ and a ‘birthday girl’ is a ‘jarige JET’. Today I am the ‘jarige Job’ and I received birthday wishes in many languages. Claudia said ‘feliz cumpleaños’. Jet C. and Edith sent me cards with ‘happy birthday’ on them. And Jet Q. sent me a lovely story about a hen mallard duckling called ‘Fup’. Let’s forget the word VERJAARDAG and use the word ‘geboortedag’ instead. Let’s wish each other ‘gelukkige geboortedag’ from now on to remind us how happy we are to be alive.